KAMAT produces high pressure plunger pumps, with operating pressures of up to 3,500 bar, for the most demanding industrial applications. Our pumps excel through their small dimensions, as well as high modularity that makes special designs and single piece production possible. The possible applications of our high-pressure pumps are extremely versatile: industrial cleaning, mining hydraulic stations, process pumps in the chemical industry, or also stress tests for pipelines, are included here. The performance spectrum of our plunger pumps is so widely diversified that the proper pump solution can be developed for every application. 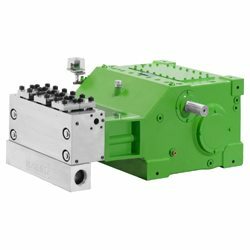 Their modular construction design guarantees that these high pressure pumps are capable of being adapted flexibly to changing requirements. 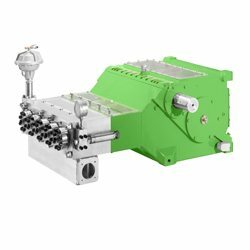 Furthermore, the similar-part strategy provides that customers with several pump models can manage with relatively few maintenance and wear parts. Test the performance capability and reliability of our high-pressure pumps. Modular construction makes special designs and single piece production possible. Simple operation and maintenance with customer friendly service. Reliable gearboxes with high lubrication security. 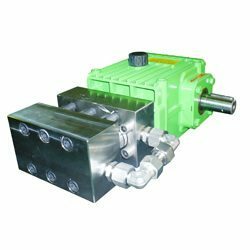 KAMAT offers suitable pumps for any demand. Input power range from at 15 kW and reaches up to 800 kW. 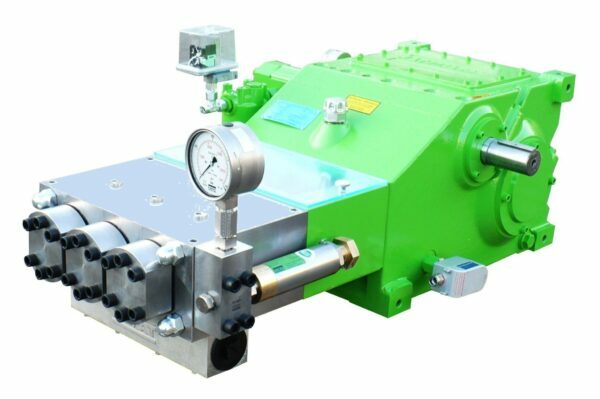 Operating pressure can be chosen from between 0 to 3,500 bar. The spectrum of usable fluids range from high viscous, watery or loaded with solids to very hot or very cold.